Bahraini protesters are seen during clashes with security forces following a demonstration to mark 5th Bahrain uprising anniversary in Manama, Bahrain on Feb. 13, 2016. Bahrain has arrested four Americans, three men and one woman, during violent protests marking the anniversary of the kingdom's 2011 uprising, officials said Monday, NBC News reported. 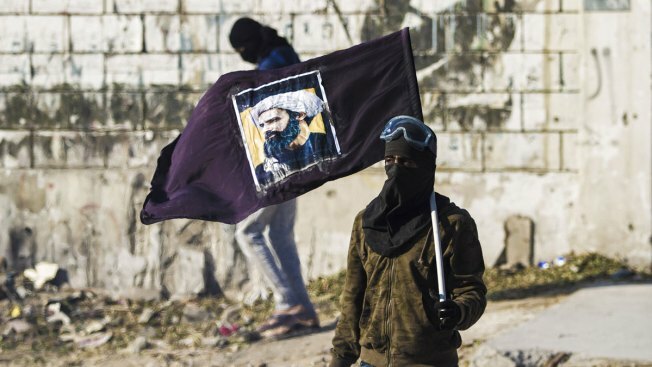 Bahrain's interior ministry said one of the Americans was wearing a mask and joining "rioters" in attacks on police. All four gave "false" information that they were tourists and were detained in the same area, the ministry added in a statement. The ministry said "at least some" were acting as journalists but hadn't registered with the necessary authorities. According to The Assocaited Press, the four Americans arrived in Bahrain last week and were journalists covering the anniversary of the uprising. The U.S. Embassy in Manama said in a statement Monday it was "aware of the arrest of four U.S. citizens in Bahrain" on Sunday but that it could not discuss the case due to privacy concerns.